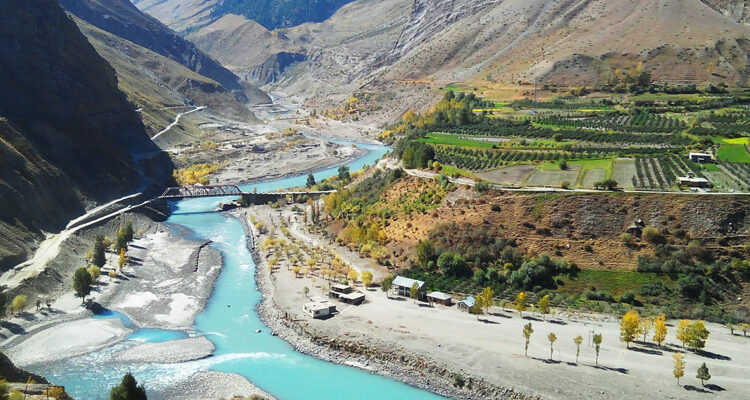 (By Prof. C. M. Parsheera) At Tandi, which is close to the district headquarter Keylong, two mighty Himalayan Rivers meet gracefully and form Sangam- the sacred confluence. Chandra, Bhaga and Yuman rivers originate from Baralacha Massif which makes Baralacha being single source of three rivers, extremely unique in the Himalayan family of high peaks and passes. 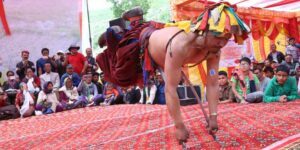 Yuman travels towards Zanskar and Chandra and Bhaga meet at Tandi after several miles journey around holy Drilbu Mountain. Here they converge and move with one identity Chandrabhaga, till it blends in ocean feeding people and developing civilizations all the way from Lahul to Jammu Kashmir, Punjab and Pakistan. The ancient Hindu scripture Rig- Veda calls this river, Asikni and in its Nadi- Stuti Sukat which is hymn of praising Rivers, it glorifies this river with other sacred rivers Ganga, Yamuna, Sarasvati and Sindhu. During the period of Puranas, this river was renamed as Chandrabhaga. Shiv Puran marks the mountain range starting from Chanderkhani in Kullu to Drilbu in Lahul as Chanderbhag Mountain and rivers underneath were named accordingly. Shiv Puran also mentions meditation of Devi Sandhya at the confluence of Chandrabhaga; she was the mother of Rishi Vashisht. According to Bhagwat Puran Rishi Vashisht was married at this confluence and Sakand Puran ensures the authority of a holy dip in Chandrabhaga River is equivalent to Ganges. Vaikunt Puran links this river with Lord Shiva and Matsaya Puran claims the wind which flows touching this river gets the medicinal effect and is very useful for the sentient beings. After Asikni & Chandrabhaga, the third name of this river is Chenab which reflects Urdu- Farsi (Persian) influence on Indian literary world and administrative affairs of Mughal period. Eminent Trans Himalayan historian, Tsering Dorje says, “When Urdu- Persian people have first seen Chandrabhaga or Asikni, they might have thought the emerging direction was China and called it Aab- E- Cheen (water of China) which further was simplified as Chenab”. Chenab becomes very noteworthy once we recall the eternal love stories of Heer Ranjha, Sohni Mahiwal and Suni Bhunku who made Chenab a River of Love. A historian Anil Bharti in his article “Killing of Alexander in the field of Chandrabhaga” describes very aptly, “In the field of Chandrabhaga, a brave Dogra shot a poisoned arrow at the Greek Commander Alexandra. The arrow was the symbol of retribution for India’s honor. Alexander, hit by the arrow, with blood gushing from his body, fell down. Soon thereafter, the Greek soldiers covered the unconscious commander with the shield. It is for this reason that Greek historians and writers have called the Chandrabhaga River as Sandro Fagus, meaning the river which devoured Alexandra. There is one more name quite significant for this river which is Tang- Ti, a Buddhist name where Tang is heaven and Ti means water. The land of Lahaul is very unique that encourages “practice of element of Mount Kailash”, a holy peak equally worshiped by both Hindu and Buddhists. Lahaul has this wonderful tradition of worshiping Shiva and Buddha under one roof, which is known as Element of Kailash. According to the Buddhist scriptures, the history of Chandrabhaga is associated with different Buddhist masters like Mahasiddha Ghanta Pa (Drilbu Pa), Gyalba Gotsang Ba, Gyalba Urgyan Pa, Tag Tsang Ras Pa and Gyalba Gyatso who have meditated alongside of this river under the holy peak of Drilbu Ri and established different fruitful practices for the spiritual elevation of tribal population of this district. Chandrabhaga River and its sacred Sangam is mentioned in oldest religious books of Buddhism like Sutpitak, where the monks clam the seat of Viraj Buddha established above the Sangam and other ancient scriptures like Khudaknikay, Apdanpali and Vimanbattu also talk about the Sangam. Buddhist of the valley call it Tang –Ti, which means water of heavens and the last rituals (Asthi Visarjan) of every Buddhist is performed in this sacred confluence of Chandrabhaga. Chandrabhaga Sangam is one among the eight great funerals of India including Kashi. In Buddhist beliefs, it is known as Dudthod Chenmo. Historians admit that this is the place where Droupadi took her last breathe while moving to heavens with her husbands. Her last rituals were performed here by the local people who found her dear near the confluence of Chandrabhaga. The locals didn’t touch her body for two days and on third day they got to know her identity, then they established a relation of mother and sons with Droupadi through appropriate rituals and then conducted the last rituals. This respect reflects the situation of women during that time in tribal world of Lahul Spiti. Later they immersed her last remains into the river at Sangam and since then the people of Lahul are immersing mortal remains of the deceased locals in this river. It was tested and found that like waters of River Ganges, the water of Chandrabhaga too doesn’t decay for decades. When the valley got Buddhist influence, this ritual of mortal remains was decorated in even better way naming it Tsa –Tsa. It was a technique to decorate the dead body and take it to the Sangam on horseback for the funerals from different corners of the valley. The mortal remains were kept in nearby monastery of Ghanta Pa Siddha and later monks used to mix the powder of last remains with clay and make small Buddhist Stupas to be kept under the rocks and immerse in Sangam. A huge celebration was organized on this day followed with locally made beer and different dances. Tsa- Tsa celebration went invisible but revived in 2016 when a huge tribute was paid by this tribal Hindu- Buddhist population to VHP leader Ashok Singhal whose mortal remains got immersed in this holy Sangam in the form of Tsa- Tsa. Using his mortal remains Buddhist monks revived almost a century year old Tsa- Tsa ritual. People have gathered from every corner of this frontier land and a big festival was started named Chandrabhaga Sangam Parv. The first Chandrabhaga Sangam Parv was celebrated in 2016 and then next one in 2017. This year Sangam Parv was celebrated on 29th June. The Hero of Kanchenjunga, Col. Prem proudly talks about Sangam Parv, “After the final rituals of Droupadi, history has no evidence of such large amalgamation of local people at Chandrabhaga Sangam. It explains our deep connection with this sacred river where the mortal remains of our forefathers are preserved.” Almost 100 villages have participated in Sangam Parv and every household has donated rice, ghee, sugar and lentils to organize grand feast. It is believed that the artists of Lahaul are the best flute players who are practicing various ragas on flute for almost one thousand years. They have ragas for every stage of life starting from birth to death. On this day of Sangam Parv, the local artists perform different ragas and dances which not only entertain locals but have great potential to attract tourists to the valley. Locals believe that Rohtang Tunnel will certainly open the doors of new hope and possibilities to the valley that lives under snow imprisonment of almost 5 months, but simultaneously the tunnel will be a smooth gateway for several negative influences of outer world on their ancient tribal culture, civilization and environment. In that situation, Chandrabhaga Sangam Parv will be a landmark to keep the culture and tradition uninfluenced because Parv links locals and tourists with glorious river heritage of Chandrabhaga and motivates them to preserve it respectfully. The organizers believe, even before making any kind of Ghats or other facilities, through Sangam Parv they aim to establish a great respect for this river among locals and tourists so tomorrow visitors don’t spoil the area but they participate responsibly in its preservation and development; otherwise tourism without respect will spoil the Ghats even if made of gold. This way, Chanderbhaga Sangam Parv is a unique example of developing mechanism for preservation and prosperity. This is the first fair in modern India started by local population in respect to their river heritage. 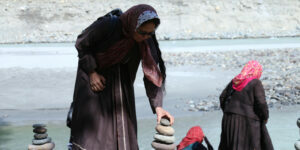 HOW TO REACH: Chandrabhaga Sangam is 102 Kms from Manali on Manali- Leh highway. One can take HRTC buses from Manali or can hire taxi from there. STAY: There are three accommodation units nearby: Drilbu Retreat, Shirtung Camp, and Chandrabhaga Camp. 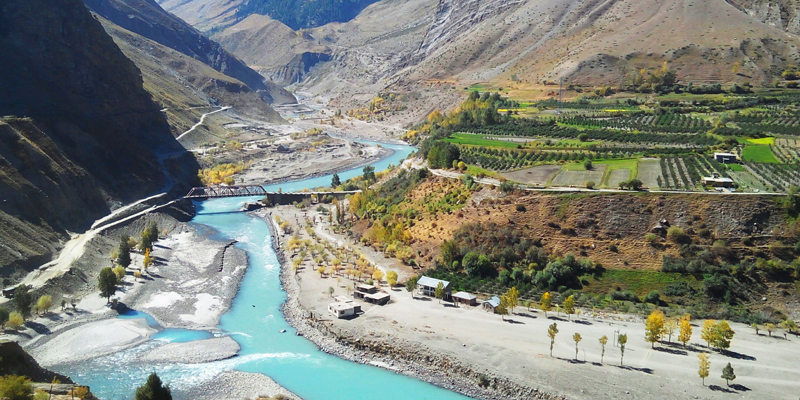 There are plenty of hotels at Keylong (7 Kms from Sangam).